The SnapStream multi-viewer allows you to play back up to four recordings simultaneously. This makes it easy to compare different takes on a single topic, or see how different networks handle the same breaking news item. 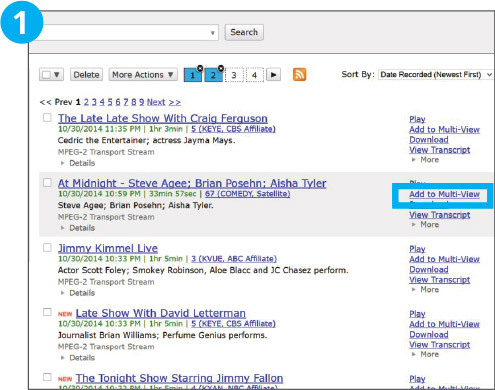 To add an item to the multi-viewer, click the Add to Multi-View link to the right of the entry in the Library. When you add the first item, the multi-view slots will appear, and as you add more items (up to 4), they will be populated. Click the Play button next to the slots to start playback. When multiple recordings are playing, only the “active” window will play sound. 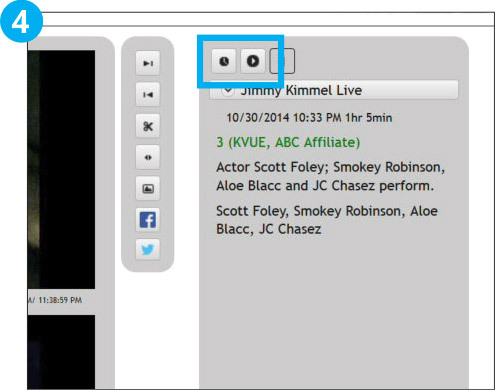 To switch the active recording, just click on the window that you want to activate. Click the active window again for play/pause. 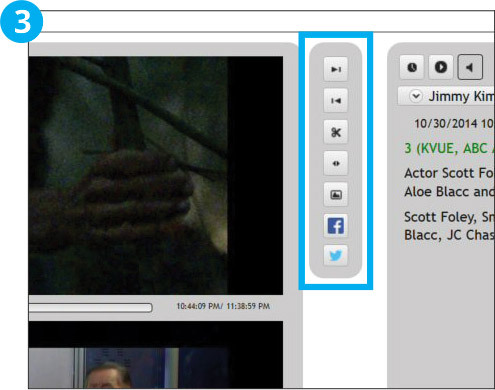 The same controls are available in the multi-viewer as in the web player, including clipping, Twitter and Facebook tools. You can also click the time sync button (clock) to synchronize all of the player windows to the elapsed time in the active window, or click the Play/Pause All button to control playback for all of the player windows at once.